Hotel La Fortezza, Florence. 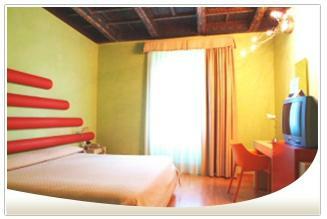 La Fortezza Hotel Florence. Hotel La Fortezza in Firenze located in the heart of Fortezza da Basso area, few steps far from the bus-stops that take to the central train station and the famous Piazza Duomo. The hotel looks like the perfect choice both for a business or a leisure travel to this enchanting city. Comfortable guest rooms equipped with modern amenities and excellent services, all make this hotel a privileged accommodation for a pleasant stay.